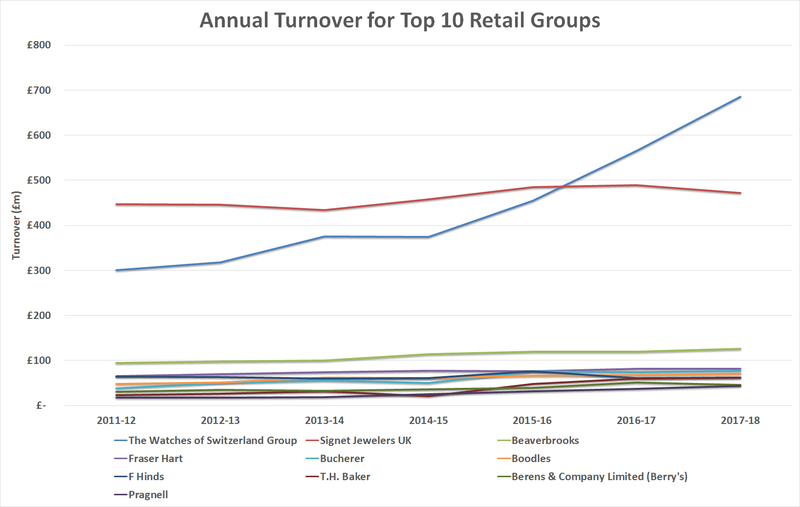 Click here for the Top 5 retailers. Or continue to scroll down here for numbers 6 to 10. Boodles was voted the UK’s best independent luxury jeweller at the 2018 WatchPro Awards, and its financial results confirm the enduring strength of the fine jewellery and watch business. 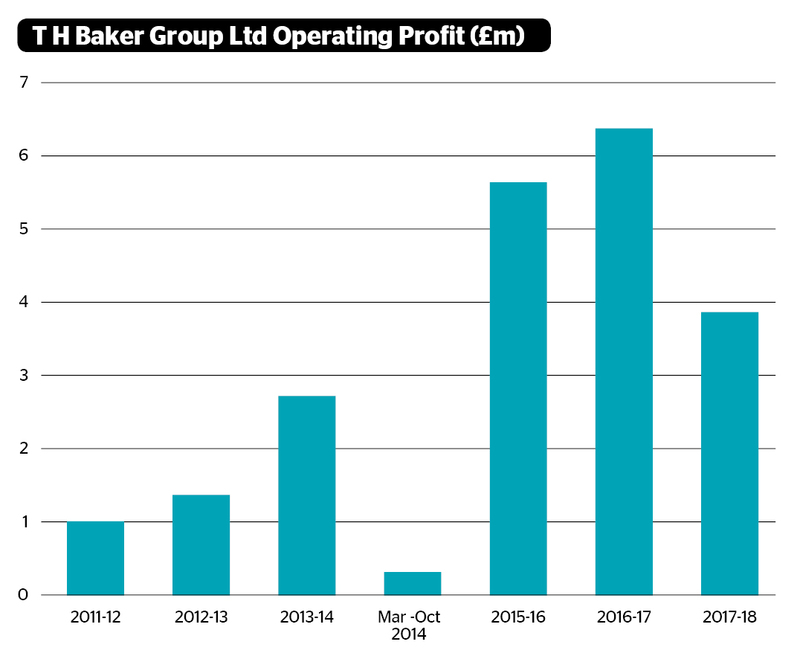 Sales were up by 5.6% to £70.8 million for the 12 months ended February 2018, a new record for the family-owned company. Sales exported overseas totalled £17 million, around one-third of group turnover. Patek Philippe is the only watch brand sold by Boodles, providing a prestigious range of watches that complement its fine jewellery in six out of its nine boutiques in the UK. 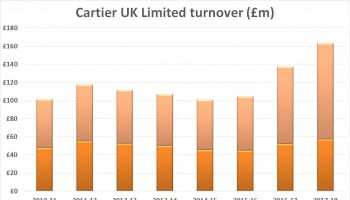 The watches account for around one quarter of turnover, according to managing director Michael Wainwright. The company’s most recent opening in Manchester sets a new benchmark for luxury in the city, while its London showrooms in Bond Street, Sloane Street and Harrods are institutions attracting customers from all over the world. Operating profit was down by 36% in the financial year, which Mr Wainwright says is due to a “slightly more difficult trading environment” and an exceptional cost of £930,000 relating to ending a venture between Boodles and Grovesnor House Hotel. He also revealed that a rents and rates review for London stores had doubled those costs for the business. Rent and rates reviews take place every five years, and Mr Wainwright is confident that the current financial year will see a return to operating profits above £10 million that the business achieved in 2015-16 and 2016-17 financial years. F. Hinds stocks over 50 watch brands online and across its nationwide network of 118 stores. 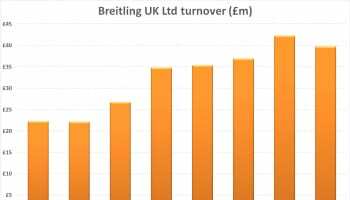 The company operates at the volume end of the market, with the majority of the watch brands selling at the sub-£500 price point that has been so challenging in the UK for the past four years (down 14% year on year, according to GfK). 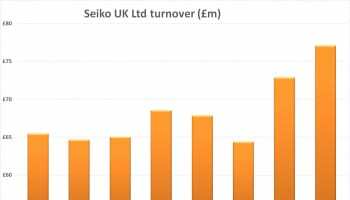 It is a notable achievement, therefore, for the business to have nudged sales up by 1% in the year to March 2018, with turnover of £62.1 million. 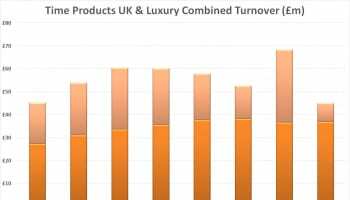 Margins remain tighter than some of its competitors at the luxury end of the market, but the company still returned a healthy £3.2 million, a slight increase over 2017. 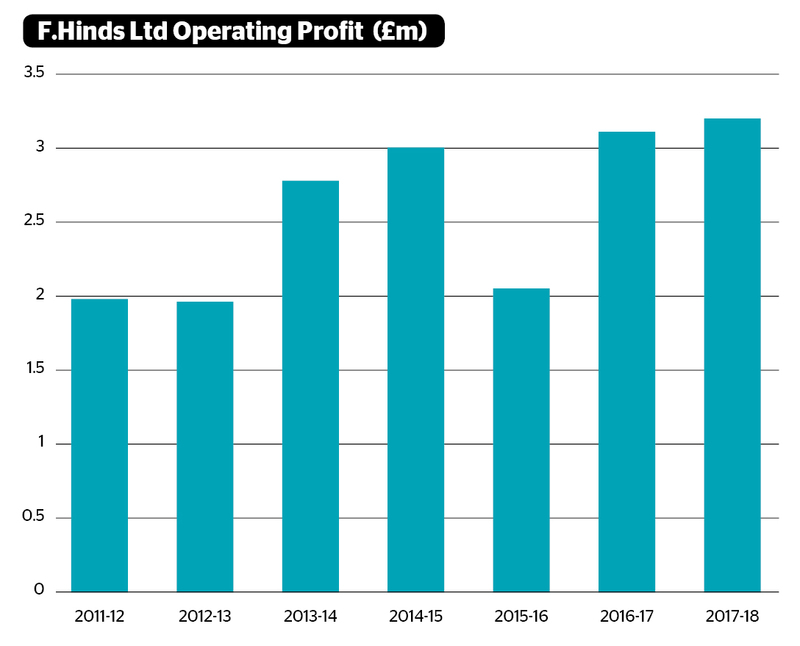 To give that result some context, F. Hinds’s direct competitor, H. Samuel, saw sales dip by 4% in its most recent trading results. 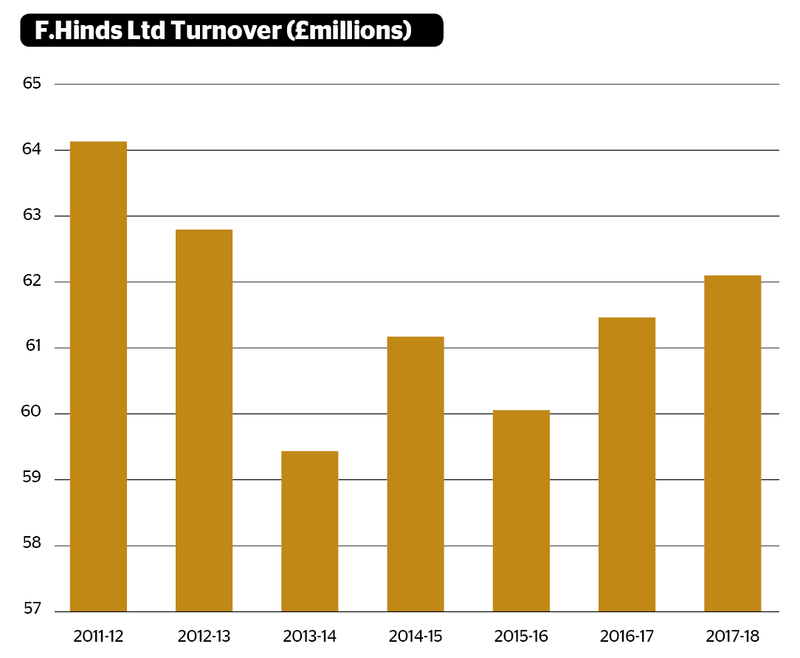 Diamond jewellery has become an important part of the mix at F. Hinds with engagement rings commanding much higher prices than watches, and better margins. 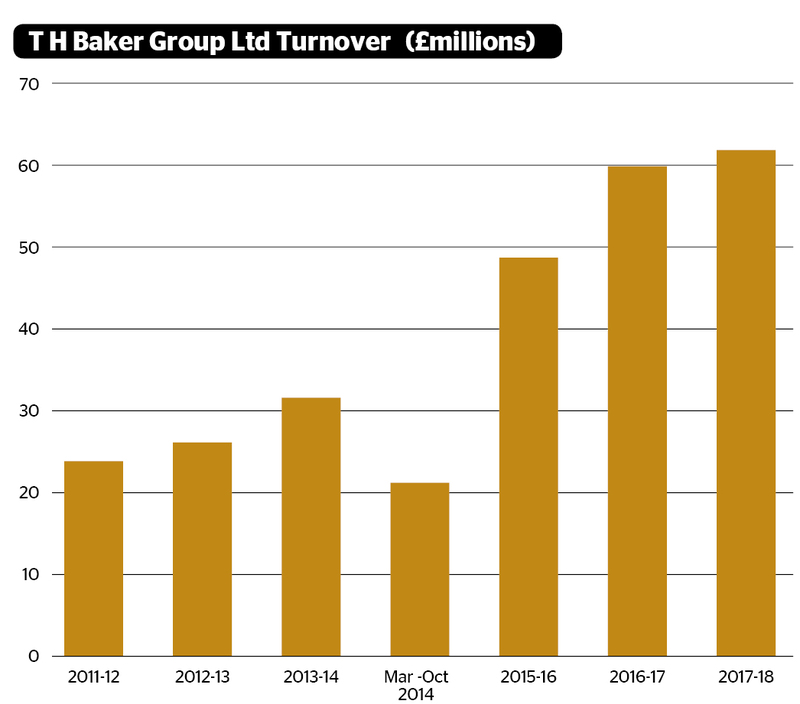 T. H. Baker’s most recent financial results are for the 12 months ending October 31, 2017, so are roughly six months less current than other businesses we feature in this report. y December 2017 the group had only one remaining Pandora store and 18 T.H. Baker doors. It also owns multi-brand jeweller Green & Benz, which has three outlets. In September this year, the company took over the leases of six Goldsmiths stores in Portsmouth, Hanley, Wolverhampton, Tamworth, Cambridge and Ipswich. They had all been re-branded and refurbished as T.H. Baker in time for 2018’s Christmas period. The 2017 figures presented here are, therefore, rather dated. They cover a year when the business opened two new stores, refurbished four and re-located two. 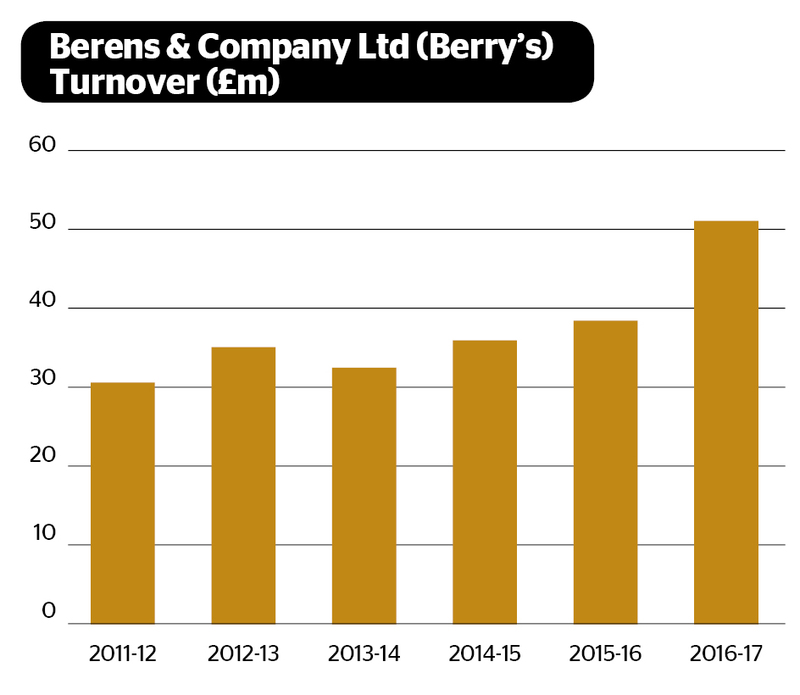 2017 was a breakthrough year for Leeds-based Berry’s, with turnover surging by 33% to £52 million and operating profit rising 41% to £7.5 million. 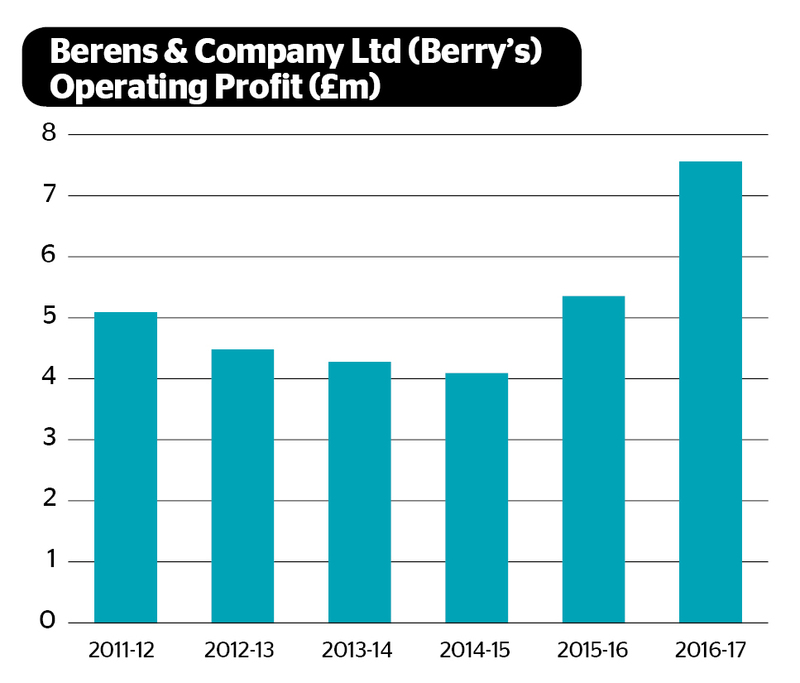 Not only does that give Berry’s a place in this year’s Top 10, it was a timely result as the business has ploughed a seven figure sum into the expansion and refurbishment of its flagship store on Albion Street, which only fully re-opened in the fourth quarter of 2018. A second store in the Victoria Quarter arcade has also been upgraded with a Panerai shop in shop added on the first floor this year. Berry’s has almost single-handedly put Leeds on the map as a destination for fine watch aficionados, drawing in fans of brands including Patek Philippe, Panerai, Hublot, IWC and Jaeger-LeCoultre to the Yorkshire city. Not that the business is without competition on the parade of top end jewellers on Commercial Street. 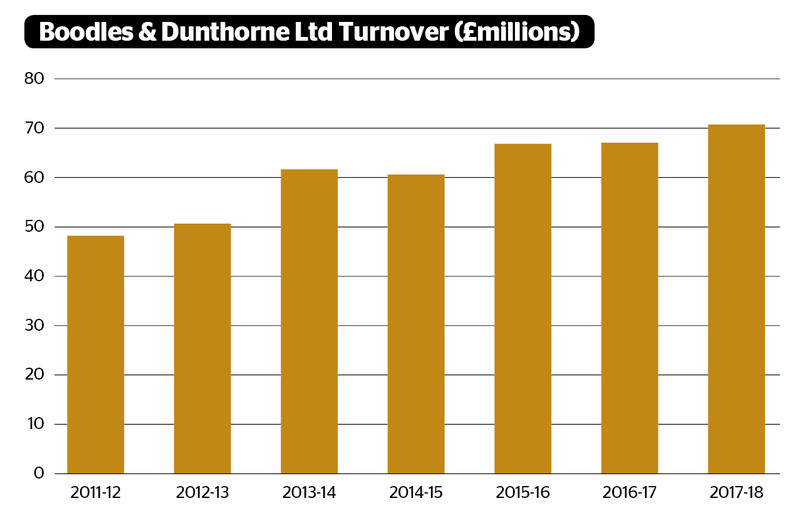 Group turnover rose to £43.3 million, of which £23 million was from overseas business and £20 million was from domestic customers. Operating profit dropped by one-third in the year ended May 21, 2018. 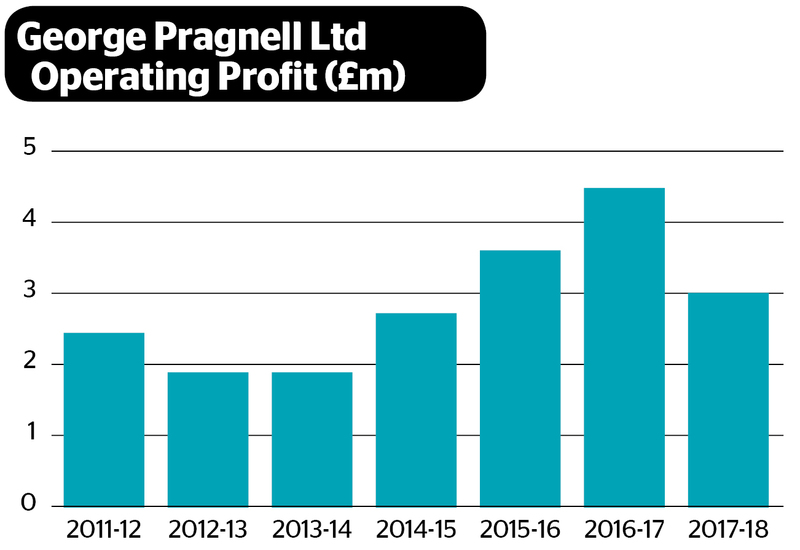 Charlie Pragnell, managing director for Pragnell, says sale of stock at lower margins from the Rugby store that closed in May last year coupled with the cost of opening in Mayfair were responsible for the dip in profits. 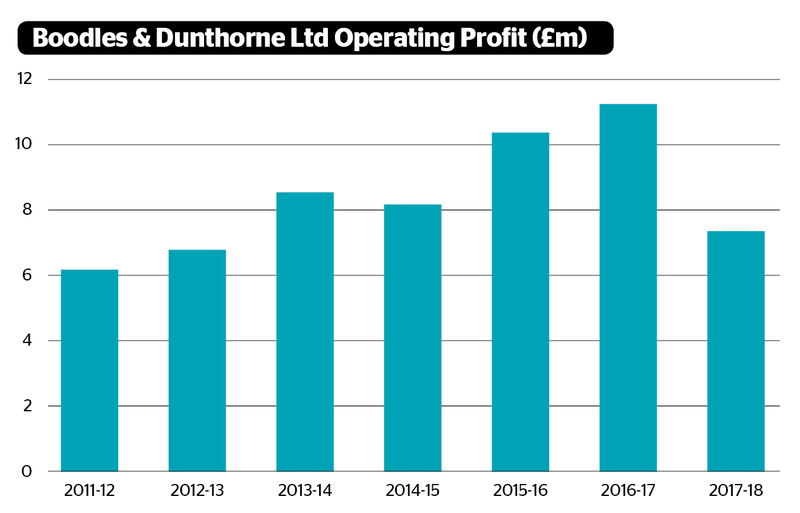 “Adding back the exceptional costs of £1,324,195 to profit before tax would give a result of £3,976,428 for the group for 2018 which is a comparable result to profit before tax in 2017 of £3,946,568,” Mr Pragnell says. 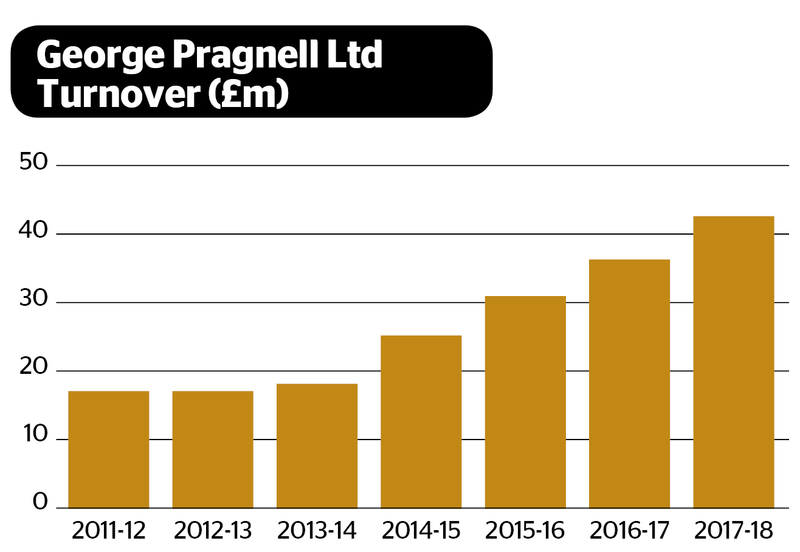 Since the end of the 2018 financial year in May, Pragnell has rebranded the Tarratt stores that the group owns so the showroom on Market Street in Leicester has now become a third national outlet of Pragnell, joining the original Stratford Upon Avon store that is currently expanded into a neighbouring retail unit, and the boutique on Mount Street in London’s Mayfair that opened in Q4 last year.